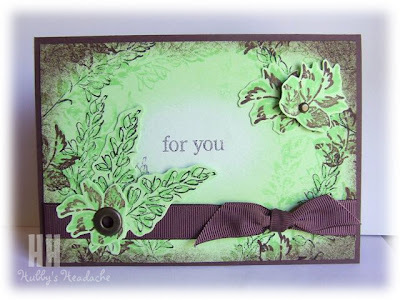 Hi all - here is my 'creation for Mel's weekly challenge. It was a colour challenge based on a scenic picture this week, using Basic Black, Chocolate Chip, Gable Green and Whisper White. Hi Deb - that challenge went in the too hard basket for me I'm afraid! Great to see you had a go! I absolutely love this Deb. Fantastic card. I love it, its so peacefull. Well done. The colours look great together!